If approved, these would be the first new GM crops legally authorised for cultivation in the EU in almost 20 years, at a time when the appetite for GM crops from consumers and farmers is non-existent. In addition, the two new crops – Syngenta’s Bt11 and Pioneer’s 1507 maize – come with incomplete safety tests. Untested, unwanted and unnecessary, it’s hard to see who stands to benefit from these crops, other than the multinational mega-mergers that have dominated recent headlines – Monsanto-Bayer, Syngenta-ChemChina and DuPont-Pioneer. But how did these two new crops get so far without adequate tests and despite ten years of scientific debate? 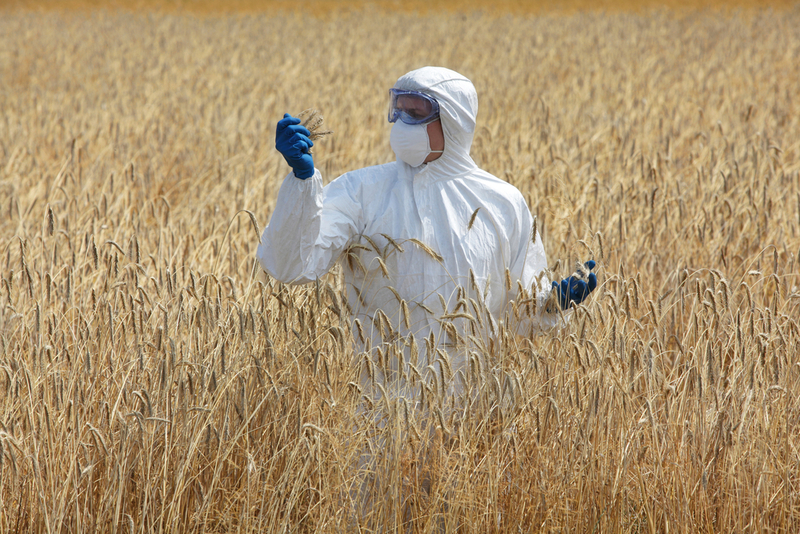 The European Food Safety Agency (EFSA) responsible for checking the safety of the crops has rarely shied away from showing leniency to the biotech industry. National governments have been requesting better assessments from the EFSA since 2006, yet the impact assessments for the new crops lack key data on how nature could be impacted. For the last ten years, EFSA failed to request data from the biotech industry and disregarded large chunks of evidence that should have set alarm bells ringing. These GM crops produce a toxin designed to destroy the corn-borer maize pest. The toxin also, not surprisingly, harms other species; yet, in its investigations EFSA decided to only focus on one group of non-target insects. Within this group they focused on a mathematical model of possible effects on butterflies and moths – and concluded that it constituted a threat. This conclusion, combined with a very narrow focus, makes it impossible to guarantee it will not have the same impact on other insects or fauna. Despite these significant gaps in analysis and data, and acknowledgement of the risk for butterflies and moths, EFSA trotted out its usual line that the crops were safe to grow in Europe’s fields. It then threw the precautionary principle (and genetically modified pollen) to the wind by suggesting that further studies on the impacts on nature should be conducted once the crop was sown. Finally, to add insult to injury, EFSA dismissed significant long-term research demonstrating that impacts on non-target insects could be much higher than previously thought. In 2014 a group of independent scientists published empirical data about maize pollen dispersal over ten years at 215 sites. This research was by far the most extensive ever carried out in the world. They concluded that in reality, maize pollen flies long distances – in the order of kilometres – thus substantially challenging the EFSA model, which assumes a maximum of 30 metres. By so blatantly ignoring the scientific gaps and safety risks, the EFSA and the European Commission are pandering to the interests of the biotech industry and putting our food and farming at risk. European farming needs urgent support to make it greener, safer and better for farmers. We need to break away from corporate driven monocultures in order to feed future generations sustainably. GM crops have no place in this future for food and farming. National governments have the power to reject these unwanted, unnecessary and untested GM crops, and in doing so would win public support, and send a clear message that our European institutions have to do better to reassure the public that their wellbeing and environment are protected. Without further information I cannot take your post seriously. Can you direct me to further information that backs up your comment ‘Friends of the Earth are not always truthful or rational in their arguments’? It might have credibility if there was support for at least some GMs but perhaps FOE represent a wealthy part of society unaffected by food cost or shortage and lack empathy. I might suggest that the environmental impact of maize is greater than whether the crop is GM or not. Can FOE really speak for all of us?